Another 123 wins & 137 nominations. | The final hour of The Two Towers is grand, terrifying, and epic on a biblical level. As stated, the road to the battle of Helm's Deep can be enormously long and painful for any viewer aware of what breathtaking scenes await towards the end of the film. Perhaps The Two Towers' biggest fault is in its own accomplishments; the first two thirds of the film are well shot, well paced, and they necessarily and adequately progress the storyline, but when compared to the spectacular final hour, the first two hours seem uneventful and insignificant. However, to be fair, I feel that it's simply impossible to create two hours of film that could appropriately lead into the battle of Helm's Deep. It's difficult to comprehend how such scenes came to exist in the rather short amount of time Peter Jackson has had to create six hours (so far) of finished film. The battle of Helm's Deep is simply unreal; it's unlike any event that has come to pass since fantasy films gained, and regained, popularity. As assumed, The Two Towers begins where The Fellowship of the Ring ended. 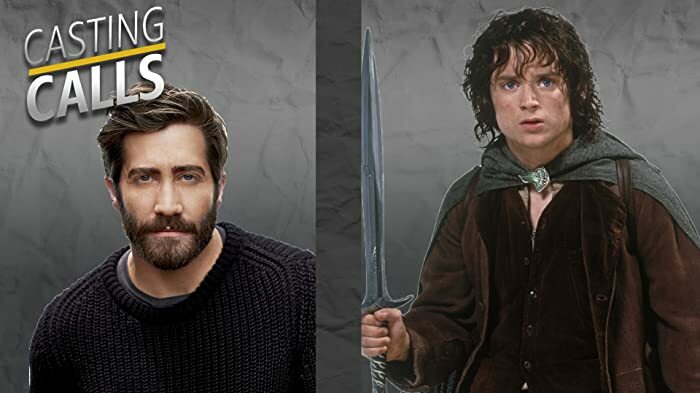 The majority of the film follows four separate groups and their story lines: Frodo and Sam; Aragorn and Legolas, Merry and Pippin, and Saruman and his army. The performances live well up to the standards of the first film, with a particularly notable performance from Viggo Mortensen as Aragorn, whose role is significantly larger in The Two Towers. Aragorn satisfies a thirst for someone to root for, a thirst that was left partly unquenched in Fellowship. It's much easier to root for Aragorn than it is for Frodo; Aragorn has many more qualities of a leading man, a soldier, and a hero. More than once did the audience, filled mostly with academy voters, applaud the heroics of Aragorn. Gollum also shines in a much-welcomed large role, due to extremely realistic computer animation, and a fine performance from Andy Serkis, upon which the animation was modeled. In Fellowship, it was appropriate to consider Gollum one of the many great 'features' of the film. However, here he is more of a leading character and a 'star,' and his convincing dual-personality, stabbing voice, and well-choreographed body movements make him consistently eye-grabbing and the center of focus of nearly every scene in which he appears. As was The Fellowship of the Ring, The Two Towers is a visual delight. Those who have seen Fellowship are no doubt familiar with the beauty of the landscapes of New Zealand. The cinematography is, again, one of the best aspects of the film. The swooshing camera movements that follow the armies and horsemen throughout the fields are extremely satisfying in this post-Matrix era. The shots of the ascending enemy-laden ladders in the battle of Helm's Deep are terrifying and chillingly gorgeous all at once. The visual effects take an appropriate leap forward from those of the first film. While the visual effects in Fellowship were outstanding, the battle of Helm's Deep provides for the best application of CGI since the rippling waves of The Matrix's 'Bullet Time.' The battle of Helm's Deep features absolutely awe-inspiring and seamless integration of acting, stunts, and computer animation. Each orc seems to have its own personality, demonstrated in its movements and visual features. The masses of armies fight with strategy and true character, which I imagine is much harder to accomplish than animating thousands of identical clone troopers. The only problem I have with the visual department is the look of Gimli, the Treebeard. Gimli's visual features seem a bit childish and uninspired, inconsistent with the standards set by the rest of the film. But again, there is simply nothing that compares to the battle of Helm's Deep. George Lucas and the Wachowski brothers certainly have not created anything that approaches the grandness and magnificence of The Two Towers' final hour, and I doubt they will do so anytime soon. In The Fellowship of the Ring, I had a few minor problems with Howard Shore's score. While I thought it was gorgeous and it established several very memorable themes, I don't think it handled the sentimental scenes (opening in the Shire, Gandalf's passing) properly. I thought it caved in to the melodrama a bit too much, resembling the emotions from James Horner's Titanic. However, I believe that The Two Towers requires the type of score which Howard Shore accomplishes best: dark, continuous, and unrelenting, as demonstrated in Se7en and Silence of the Lambs. The theme used in many of the action scenes in Fellowship (low brass, six notes repeated with a rest in between) is much more present in The Two Towers, appropriately. A brand new theme is also unveiled, the theme for Rohan, a prominent kingdom in Middle Earth. Rohan's theme is played more often than any other melody in the film, underscoring most of the memorable and heroic scenes with great effect. Howard Shore undeniably exhibits his skills as an 'A-list' composer, and with a possible double Oscar nomination this year for The Two Towers and Gangs of New York, he could get propelled to the very top of the 'A-list,' right beside John Williams and Hans Zimmer in terms of demand. If not the picture itself, there should be a way to recognize and award the battle of Helm's Deep. The battle sequence alone represents successful filmmaking in its highest form. The choreography of the battle, the visual effects, the pacing, acting, cinematography, and music, all work together in perfection to achieve grand filmmaking which is as entertaining and enjoyable as film can be. For this very reason, no one, whether a fan of Fellowship or not, should miss The Two Towers. Viggo Mortensen was so impressed with the horse his character rode, that he purchased him from the owners. The horse was shipped back to New Zealand for the additional shots that were filmed in 2002. Sam: You want to know what happened to Boromir? Do you want to know why your brother died? 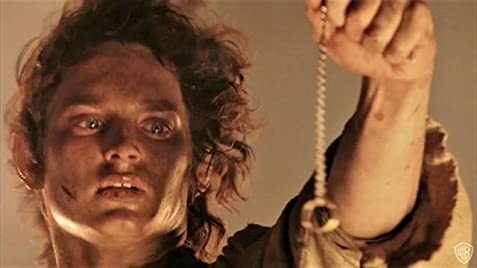 He tried to take the Ring from Frodo, after swearing an oath to protect him! He tried to kill him! The Ring drove your brother mad. As women and children enter Helm's Deep's caves, a rock stalactite swings back and forth after an extra touches it. When Frodo, Sam, Gollum and Faramir arrive at Osgiliath in the Extended Edition, Minas Tirith can be seen in the background. It was removed from the theatrical version to avoid confusion with Helm's Deep.